BAGHDAD - Five American soldiers were killed south of Baghdad, including four in a single roadside bombing, the military said Sunday. The blast that killed the four soldiers and wounded four others occurred Saturday during combat operations south of the capital, the military said. Another soldier was killed Saturday by small-arms fire during a foot patrol southeast of Baghdad. All the soldiers were assigned to Task Force Marne, which operates in an area with a volatile mix of Sunni and Shiite extremists. The troops also have been cracking down on networks allegedly smuggling explosively formed penetrators, or EFPs, from Iran to the Baghdad area. The precision-crafted explosives have become a growing threat to American troops, and the Pentagon has struggled to find ways to protect vehicles against their deadly power. The deaths announced Sunday raised to at least 3,690 members of the U.S. military have died since the Iraq war started in March 2003, according to an Associated Press count. U.S. and Iraqi forces elsewhere reportedly staged raids in a Shiite stronghold in Baghdad and the holy city of Kufa. A police officer said two civilians were killed and four wounded when the joint forces backed by helicopters stormed into houses in Baghdad's Shiite district of Sadr City. The officer, who spoke on condition of anonymity because he wasn't authorized to release the information, also said 16 people were detained. The U.S. military said it was looking into the report. AP Television News footage and photos showed a crumpled white car and a truck pockmarked by shrapnel, with a pool of blood on the street. Dozens of men carried a black coffin in a funeral service for one of the purported victims. Joint U.S.-Iraqi forces backed by air power also raided the house of an aide to radical Shiite cleric Muqtada al-Sadr in the holy city of Kufa, 100 miles south of Baghdad, according to al-Sadr's office. The U.S. military had no immediate word on that report either. Sheik Fouad al-Turfi was detained, according to an official and a relative who declined to be identified because he feared retribution. U.S.-led forces have routinely carried out raids searching for Shiite militants since they launched a Baghdad security crackdown nearly six months ago. On Wednesday, U.S. aircraft and soldiers attacked Shiite militia bomb makers accused of links to Iran, killing 32 suspected militants and detaining 12 others. The raids have sent a strong message that U.S. forces plan no letup on suspected Shiite militia cells despite risks of upsetting the Shiite-led government of Prime Minister Nouri al-Maliki and its efforts at closer cooperation with Shiite heavyweight Iran. Al-Qaida-linked Sunni extremists, meanwhile, praised the attack on a moderate Sunni cleric who had recently spoken out against the terror network. 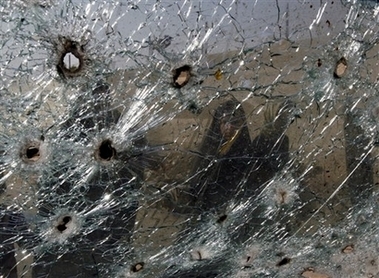 Sheik Wathiq al-Obeidi was seriously wounded and three relatives were killed. A Sunni insurgent umbrella group threatened al-Obeidi on Tuesday, calling him a traitor and accusing him of working with the U.S.-backed alliance of Sunni tribal leaders, who are fighting al-Qaida in western Iraq. Followers denied the cleric was linked to the alliance in Anbar province, but he issued his own call against al-Qaida last week during a funeral prayer for two nephews believed killed by extremists. The al-Qaida front group the Islamic State of Iraq did not officially claim the attack, but Web sites it generally uses to put out messages said it had been carried out by its militants. Al-Obeidi was one of two Sunni leaders who took public stances against al-Qaida in Iraq to be attacked Saturday, in a sign the terror network may ramp up retaliation against local chiefs who oppose it. A local tribal leader in Albu Khalifa, a village west of Baghdad, was gunned down by militants who broke into his home late Saturday, police said. Sheik Fawaq Sadda' al-Khalifawi had recently joined the anti-al-Qaida alliance in Anbar, said a police officer in the town of Karmah, 50 miles west of Baghdad. The police officer declined to be identified for fear of more reprisals. The United States has pointed to an anti-al-Qaida alliance of local Sunni leaders as a sign of turnaround, but the attacks showed the high risks local leaders face by joining. A powerful roadside bomb also killed the governor and police chief of a southern province that has been torn by fierce fighting between Shiite factions. Al-Maliki ordered an investigation and urged residents to show restraint and not launch reprisals. The attack occurred in Qadisiyah province, 80 miles south of Baghdad, on Saturday as the two officials traveled back to the provincial capital of Diwaniyah from a funeral. Their driver and a bodyguard also were killed. Diwaniyah has been the site of heavy clashes between U.S.-Iraqi security forces and Shiite militia fighters. The area also has seen a rise in internal rivalries between militia forces. Authorities imposed an indefinite curfew after the deaths. The governor was a member of the influential Supreme Islamic Iraqi Council, a group led by Shiite politician Abdul-Aziz al-Hakim. His loyalists dominate the police and have engaged in fierce fighting with the Shiite Mahdi Army for control of the oil-rich south. In other violence, gunmen ambushed a police patrol southwest of the northern city of Kirkuk, killing three officers and wounding another, police Brig. Gen. Sarhat Qadir said.